Tomorrow we celebrate Australia Day so I thought I’d share a few of my favourite Australian themed things – delicious baking and some fabulous fabric of course! 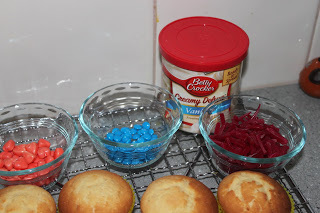 Firstly, some baking. Tim Tams are my favourite chocolate biscuit. (Closely followed by a milk Chocolate Royal – you know the ones with marshmallow). The ULTIMATE tim tam treat would have to be this amazing cake by baker extraordinare Steph from the blog Raspberri Cupcakes. 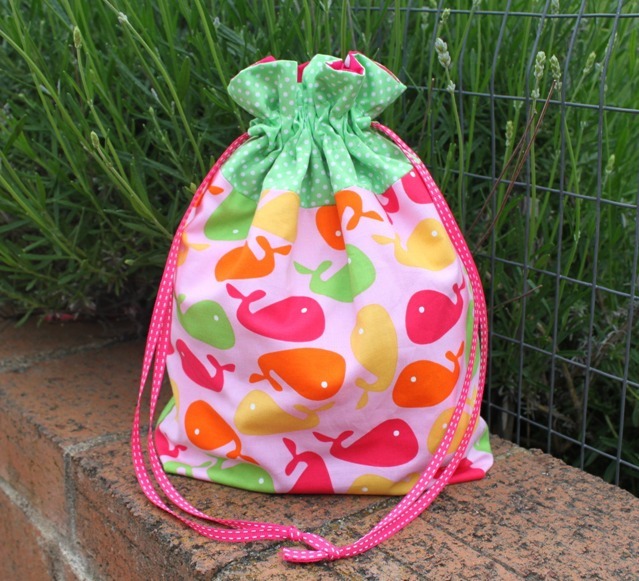 This one is on my to do list and I can’t wait until I get the chance to make it! Another Aussie favourite of mine is Lamingtons. 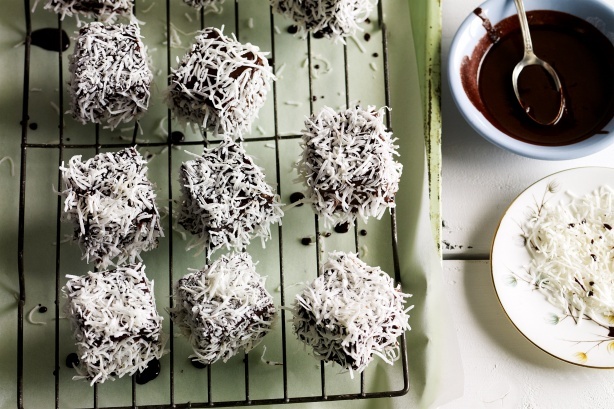 Oh the simple goodness of some sponge cake smothered in chocolate and coconut. 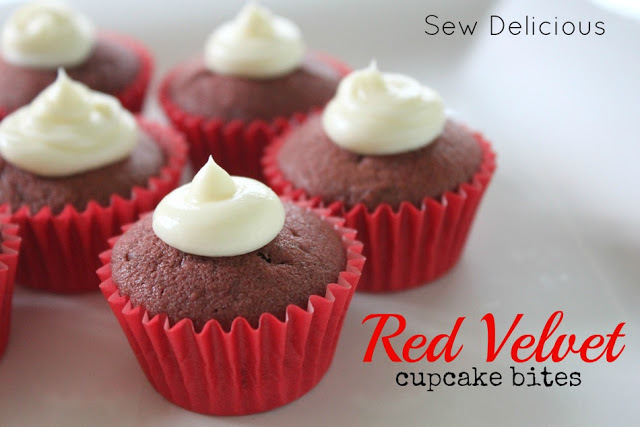 I have made this recipe and can vouch for it’s awesomeness – you can find it here on huge recipe site, Taste. If you are up to a bit of sewing, you should definitely check out Cat & Vee‘s awesome Australian bird fabric panels. The perfect size to make cushions, they are available at Cat & Vee’s etsy store. 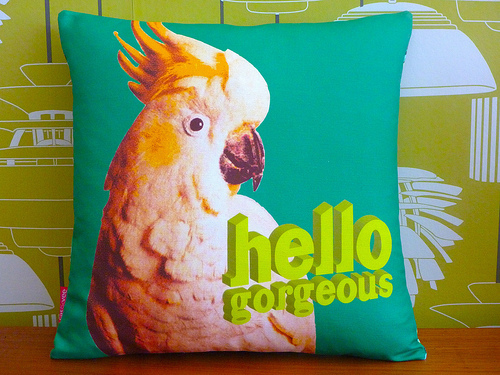 This cheeky cocky “Hello Gorgeous” design is currently in the Spoonflower Contest of the Week – this week’s theme is Australian Animals. Pop over and give the girls your vote! 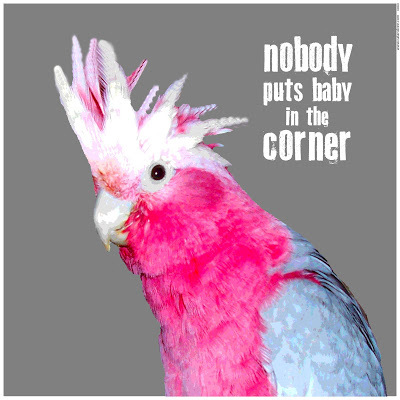 This cute Dirty Dancing themed one with a pink galah is my other favourite! Finally, in typical Aussie tradition, are you planning a bbq? Or perhaps you are not Australian and would like an insight into the culture of the Aussie barbie? Then you MUST check out this e-book by Amanda from A Cooker and A Looker. So hilarious, I laughed the whole way through. Amanda have you been spying on my family?? Love it! I’m linking with Amanda for her Australia Day party. Thanks for the love Roslyn. I'm so pleased you joined the link up. They are awesome aren't they – I love the 'moves like Jagger' one too! I have to work, both on Australia day and it's make up public holiday Monday. And I'm not calling in sick either day. How un-Australian is that?! mmm Tim Tam cake! That looks amazing! Aaaaa! 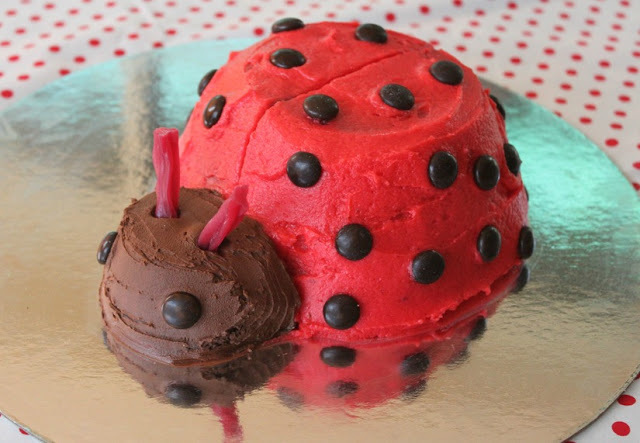 I saw that cake pop up in my blog list, and hoped there would be a recipe. There is! It's even mostly converted to cups and Fahrenheit and stuff. I just finished Steph's milo cheese cake with a chocolate crackle base ready for tomorrow and if the mixture is anything to go by it is going to be seriously yummy. I was going to go the tim tam until she posted the cheese cake, I love her blog. Happy Australia Day. Oh that milo cheesecake looked amazing! That cake looks awesome , though I love Lamingtons too . I might make a pav and serve for dessert after roast lamb cooked in BBQ. I'm off to check out Steph's blog now. Roast lamb and pav – that's about as Australian as you can get Trish!! :)You will love Steph's blog – check out the milo chocolate crackle cheesecake! The cake does look very yummy! Oh what a fabulous Australia Day post Ros!! 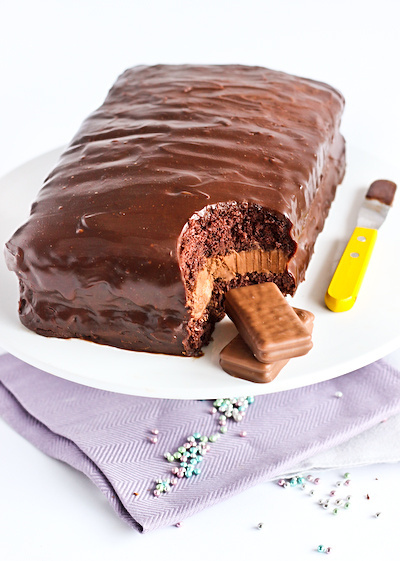 I am going to go check out the Tim Tam cake recipe and the awesomely-named Cooker and a Looker. And thank you SO MUCH for including pics of two of our cushions panels, that's is so sweet and kind of you, we really appreciate it. I didn't know that the cockatiel was an Aussie bird until this post! My favorite aunt had one and his name was Cocky. Haha, super original. I miss her, and that bird. I may have to snag one of those pillow panels! Happy Australia Day! Hahaha, sorry but I have made a Nutella Cheesecake for you today! Next time! I think I'd prefer a Tim Tam cake than an actual Tim Tam to tell you the truth Ros. Never been the biggest fan of them. I'd rather a Mint Slice. I love the fabric panels as well. Too cute. I'm off to the theatre today to see "South Pacific". It's bucketing down so we're celebrating Australia Day indoors. Have a great long weekend! Oh yep Mint Slice! They are my Dad's all time favourite! I love them too. I love the last pic of the cocky. As I looked up from reading this there was a couple sitting on my back fence. The galah at the end could've been saying just this.